Summary: Costco now has 10% of the food retailing market in Canada, and is going to charge you more to have access to its products, as of June. Given its solid success over the last few years in Canada, higher membership fees won’t change much of anything. Unless you’re there on a Saturday, trying to constantly avoid collisions with oversized shopping carts, you probably like Costco. The bad news is that it will cost you more to shop there as of June. The basic membership fee is going up to $60.00, while premium folks are going to have to pay $120.00. Paying to spend–an incredible business model, wouldn’t you say? Imagine, with more than 10 million members in Canada and a renewal rate exceeding 90%, Costco makes millions before selling a single product. Thus, with its high inventory turnover which allows it to pay for merchandise after it’s bought by customers, Costco’s high asset productivity makes it look like a bank. It’s all about cash flow. While recent earnings results weren’t bad worldwide, Canada has become a beacon of financial success for this global player. Same-store sales for Costco in Canada were up 8% this year, which is higher than the rates for any other country in which it operates. These are the kind of performance numbers most retailers would die for, and the future looks even brighter. Canada is certainly a market where Costco sees itself making more money. Costco operates 94 stores in Canada, and will add 7 more by year’s end. This is the most stores Costco has opened anywhere in the last decade. Canada will remain a growth market for Costco in retail/warehousing space for the next several years, largely because it doesn’t have to compete with its U.S. rival, Wal-Mart-owned Sam’s Club, which failed miserably in Canada a few years back. Costco is undeniably a well-run company. It sees itself as a retailer, but also as a portal to a vast but often obscure supply chain. The membership angle makes customers feel like elite guests, as members get access to special discounts from manufacturers. Costco is also a logistical masterpiece. A typical Costco store carries about 5,500 SKUs, or merchandise categories, compared to around 150,000 SKUs in most other retail stores of similar size. Therefore, procurement is much less stressful and most important, less costly. More choice can lead to confusion among customers, and potentially fewer sales. Wide aisles for easy movement of pallets allows Costco to turn over inventory more efficiently than any other retailer, with much less labour. There are also literally no signs, no weekly promotional specials, and no decorations –true merchandising bliss. But it is in selling food that Costco’s strategy has worked best in recent years. Not only have they increased their market share in food sales to 10% versus Wal-Mart’s 7%, they are selling good quality products – much to the dismay of Loblaws, Sobeys and Metro. Like other food retailers, Costco partially processes many of its food products in-house, and makes this clear to customers. Costco’s success is not just about selling in bulk through coupons but by setting up a kind of treasure hunt, it entices customers to think about food at the just right time, after having gone through pant racks and tool aisles. Despite the fact that its store interiors are giant, rather uninspiring places, Costco welcomes members with several attendants serving food, and lots of it. So much that anybody who comes hungry can walk out of the store feeling full, especially kids. The food sampling-to-purchase conversion rate is extremely high at Costco, compared to traditional food retailers. While tasting stations at Costco generate food sales in its big-box stores, other retailers are spending millions to make their stores feel like glamorous labyrinths of flavours and scents. Quite the paradox. All of this seems counterintuitive but it’s actually working for Costco, and in Canada especially. While Costco has exhibited an impressive ascent to the level of food-retailing elite, it faces a problem attracting Millennials. The Costco model doesn’t seem to make sense to this generation, at least not so far. Some surveys suggest Costco is not even in the top 5 of favourite food retailers. It will be interesting to see how Millennials approach Costco as they mature in the marketplace. As well, barely 3% of Costco’s sales are generated online, and it seems content with that number. However, if the market moves further in this direction, as are Millennials, Costco may be in trouble. Their service is also questionable. The simple functional checkout system we find at Costco with no bagging supplies or service can be annoying. More demanding customers, who don’t mind paying a little extra for this service, may be end up going elsewhere for their groceries. 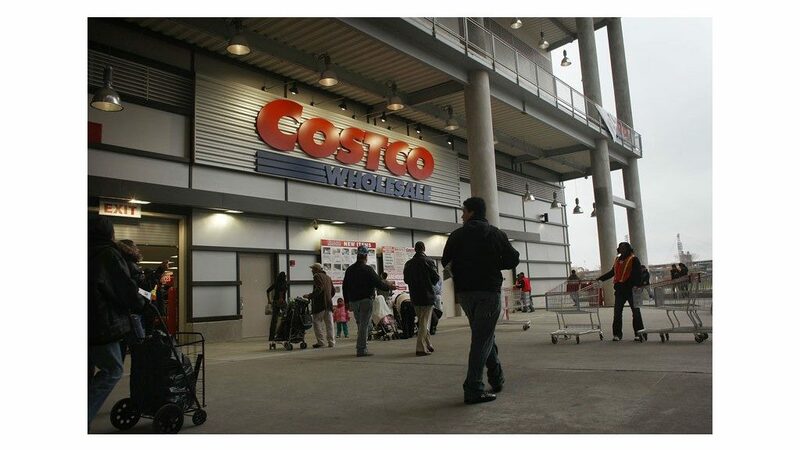 Charging more to give members access to Costco won’t actually change much for the company. In fact, those who see membership fees as a sunk cost may end up wanting to spend more. Nevertheless, Costco’s success in Canada will continue to support its global expansion. So, the next time the Costco associate goes through your receipt on your way out, just say, “You’re welcome”.